Last week, before the show had actually even kicked off, I told you which games had been nominated as Gamescom’s best games. They’re a weird, dubious sort of honorifics. Though they’re judged by a panel of jurists from all manner of game media, the awards are ones that have to be bought in to – meaning only those who pay the requisite fee are up for nomination. Just one of the awards is voted for by consumers. 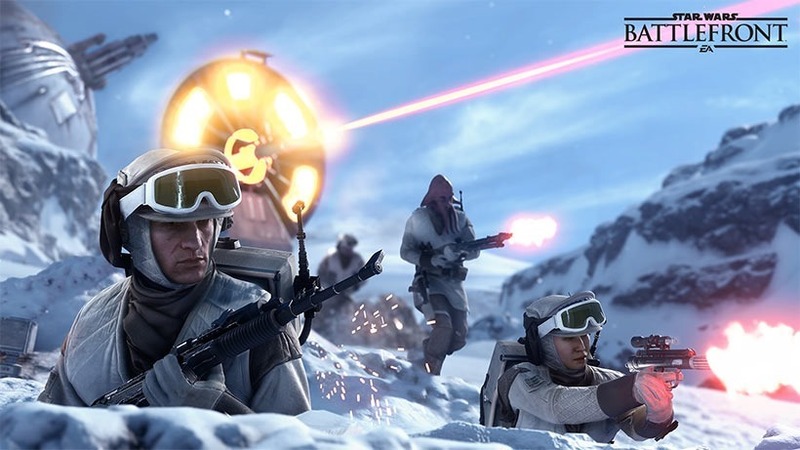 That award has gone to DICE and EA’s Star Wars Battlefront – which nabbed game of show too, along with accolade of being the best game on the PlayStation 4 and PC. It’s also the best online multiplayer game, apparently. Funnily enough, Star Wars Battlefront is probably one of the games on the whole list that I’m personally least excited for – but that’s because I’m fond of neither Battlefront games nor this Star Wars nonsense that people seem to get so excited about. Perhaps my medichlorian count just isn’t high enough. The thing here that I’m most keen to try? HTC and Valve’s VIVE. According to our cabbage on the ground, VIVE blows both the Morpheus and the Rift out of the virtual water. Having gone face on with both of those – and walking away impressed – I have to see for my own eyes how it could possibly be any better. Next article Is Pokemon Z the next pocket monster game?